Are you woke? This term for being enlightened or aware, particularly about racism, has spread far beyond its roots in the African-American community. The New Yorker recently described “Luke Cage” as “the first woke black-superhero show.” Buffalo Bills fans who supported Colin Kaepernick’s ongoing protest against police brutality were called “the Woke Tailgate” in The Nation. The term has become so common that some are complaining about its overuse, like a Philly Voice columnist who described “How ‘stay woke’ got whitewashed.” As woke evolves — somewhat painfully for early users — it’s also a textbook example of word evolution in the Internet age. “Woke” has been part of African-American vernacular English since at least the 1960s. A New York Times Magazine article from 1962 is titled “If You’re Woke You Dig It.” The term stayed under the pop culture radar until Erykah Badu’s 2008 song “Master Teacher,” which included the line “I stay woke.” From there, “stay woke” become a rallying cry, especially for the Black Lives Matter movement. 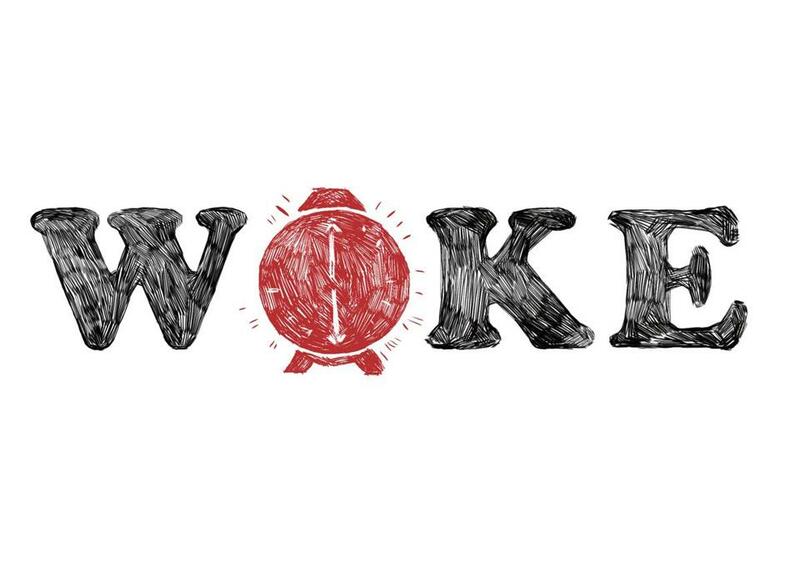 Often, #staywoke was used as a hashtag, and “woke” started spreading and evolving. Like any popular word, “woke” has spawned variations. An article for The Grio is headlined “Lil Wayne proves celebs aren’t created with equal wokeness,” in reference to the rapper’s dismissal of the Black Lives Matter movement. On the lighter side, there’s the “woke bae,” which an oldster might call a progressive hunk. Actor Matt McGorry appears to be the primordial woke bae. McGorry was identified as such in a 2015 Buzzfeed article that praised him for supporting Black Lives Matter and feminism alongside dreamy photos and gifs. “Woke,” like “hip,” has broadened. Grant Barrett, host of the public radio show “A Way with Words” and author of “Perfect English Grammar: The Indispensable Guide to Excellent Writing and Speaking,” said in an e-mail that the term has moved from “someone who is aware of the true state of racial imbalances in the United States and is doing their part to limit their own complicity and to make others aware” to a more general sense of “someone who is aware of a minor controversy or well-known difference of opinion.” Barrett said the term has also undergone a process which is, unfortunately, called semantic bleaching. Just as “terrible” and “awful” convey hardly any terror or awe, “woke” conveys less wokeness than it did a few years ago. These changes can feel like yet another example of white culture ripping off black culture. Still, says language blogger Taylor Jones, “it’s probably a positive thing that people want to be thought of as woke.” But wokeness, like so many qualities, isn’t something you need to advertise. Jones says, “. . . we shouldn’t be declaring ourselves woke . . . it’s a compliment you should be giving others.” In other words, if you’re convinced you’re woke, you’re probably not.